I have had my Ritchey Break-Away for exactly two months. We have done fifteen rides together. I do try to be fair and alternate between my three bikes. Although by default any rides that involve significant travel will now be on the Ritchey. We covered 1,025 km / 635 mi. There has been about 7,100 meters / 23,300 feet of climbing. 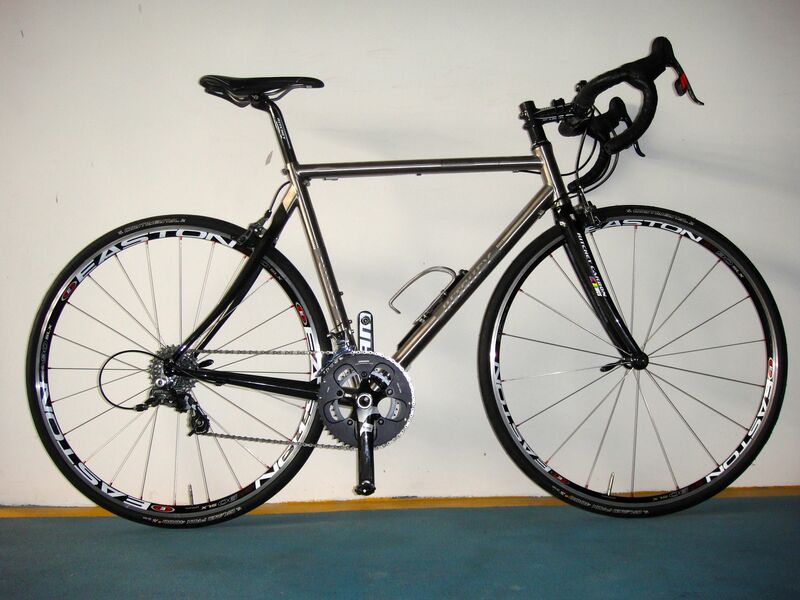 My other bikes are a steel framed Alchemy with carbon chain stays and fork, and a titanium framed Alchemy with carbon seat stays, chain stays and fork. The Alchemys have identical geometries. The Ritchey has a 56cm frame. The tube lengths and angles of the Ritchey are as close to those of the Alchemys as dammit is to swearing. All have SRAM group sets. All have Ritchey carbon seat posts and cockpits. All have Easton EA90 SLX wheels. I like the tried and tested! I include all that detail as a prelude to describing the differences between these bikes. In the hope that it heads off a potential firestorm amongst all you aficionados out there around the relative virtues of steel versus titanium as a bike frame material, and the effect of tire choice, frame geometry, tube size etc. etc. on the ride quality of said bike frame materials. The only differences that I can discern between the two Alchemys are that the titanium bike has a more ‘damped’ feel to it, and the steel bike has more flex. A little less road chatter gets transmitted through the titanium frame. I am no road racer but I can make the steel frame flex under pedaling load. Not so with the titanium Alchemy. I love the ride quality of my Alchemys. They are very comfortable, even on the chip sealed back roads of Texas. I love the ride quality of the Ritchey Break-Away too. I don’t feel a difference between the titanium Alchemy and the Break-Away. Logic tells me the Break-Away should not be as stiff as the Alchemy. After all the Ritchey frame is in two pieces, connected at the seat tube / top tube junction and just in front of the bottom bracket. Perhaps my senses are not tuned enough to pick up the difference. That probably is part of the answer. If I tested bicycles for a living my senses would be developed enough to feel some differences. I think another part of the answer is in how well the Ritchey design eliminates flexing at the joints. 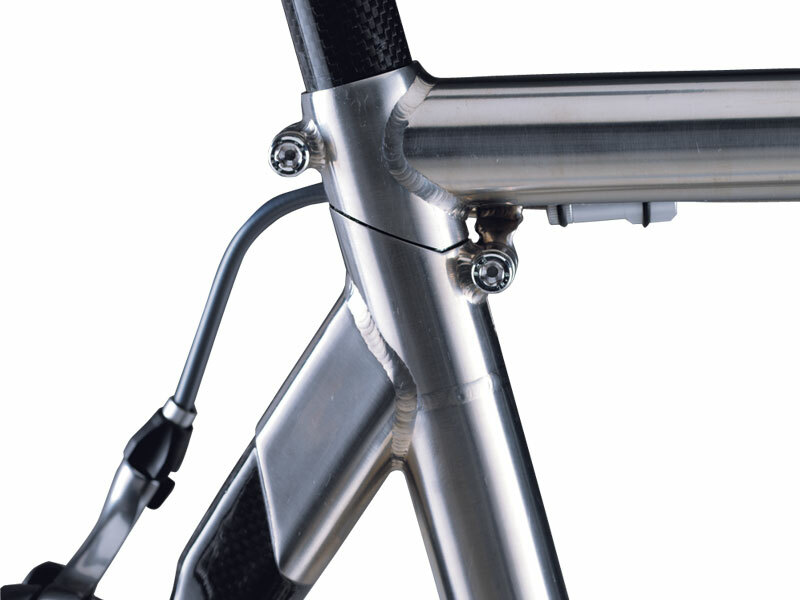 The top tube and seat tube are held in alignment by the seat post. One bolt above the seam between the tubes and another bolt below the seam lock the tubes together. What looks like a connection between the lower bolt and the top tube in the photograph below is actually a bracket welded to the lower bolt housing. That bracket holds the rear brake housing stop slightly away from the top tube. The down tube is split just ahead of the bottom bracket. 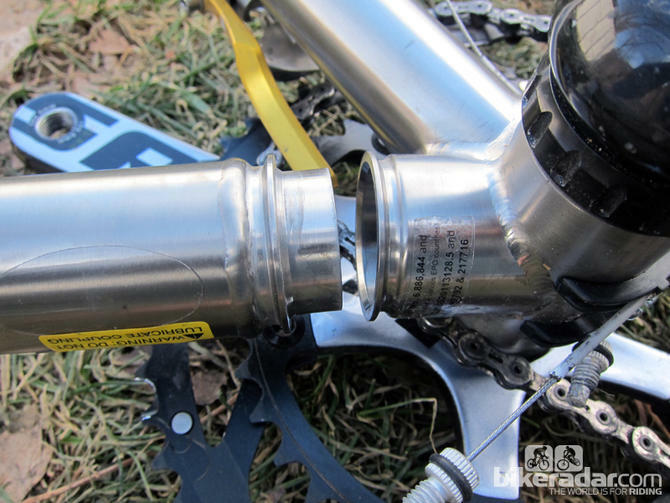 The end of the down tube has a neck that slides into the fitting at the bottom bracket. A hinged compression clamp fits over the lips or flanges on either edge of the joint and holds the two parts of the down tube together. 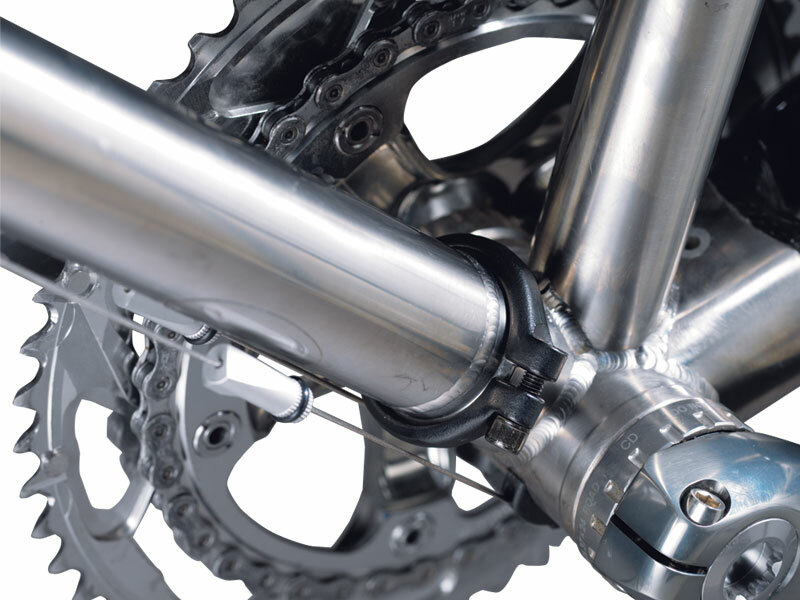 The two derailleur cable couplers are visible below the down tube. This simple design uses just three bolts tightened to 4Nm to hold the front and rear triangles together. Very securely I might add. Nothing worked itself loose during my rides. The bike tracked as expected. There were no vibrations or unexpected wobbles. Even at better than 65 kph / 40 mph down the relatively straight Smithville Hill during the BP MS150, and close to that on the switchback descent from Genting Sempah. Top marks for the Ritchey Break-Away as an excellent bike to ride. That brings me to the differentiating characteristic of this bike. The ability to fit into a case that meets airline size specifications for checked luggage. 66 x 66 x 25.5 cm / 26 x 26 x 10 in. The staff at the check-in counters at George Bush Intercontinental Airport in Houston, Denver International Airport and Newark Liberty International Airport in New York City didn’t bat an eyelid when I put the case holding the Ritchey onto the weighing scales. They tagged the case and sent it on its way without a second glance. Speaking of weight, bike and case weigh 15 kg / 33 lb. Well within the limit of 23 kg / 50 lb for a checked bag in economy class. I opted for the S&S Edge Pull Butterfly Latch Hard Case. I recommend it over the Ritchey soft case, which is universally panned in all the reviews I have read. 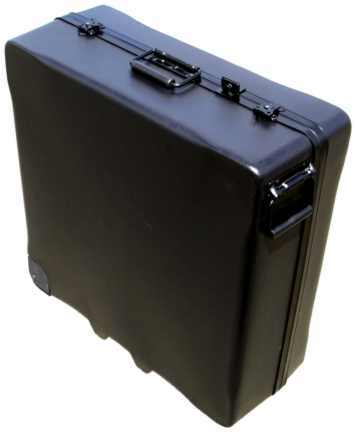 The hard case weighs more, but the added durability and protection is worth that extra kilo or two. I recommend a set of compression members to keep external pressure from pushing the sides of the case into the packed bicycle. 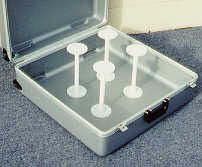 These are strong enough to stop the side bowing inward under the weight of a person standing on the case. I also like the TSA security net. 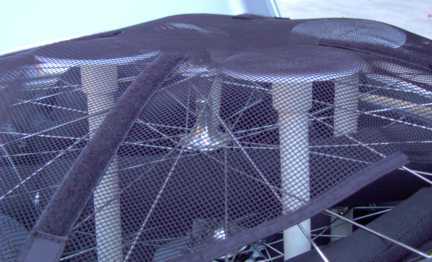 The net keeps the frame, wheels, compression members and whatever else you have packed together if a TSA inspector opens the lid of the case. Packing the bike takes some practice. There are a number of suggested ways to fit all the pieces into the case. Ritchey includes an instruction sheet with the bike. Ritchey also has step-by-step videos on their website. I tried a variety of packing methods. I prefer the S&S packing sequence, which is actually for an S&S coupled bike, but works very well for the Ritchey Breakaway too. The first time it took quite a while to wrap all the tubes in the supplied pads, and to get all the pieces properly aligned in the case so that the lid would close. The tricky bit was getting the handlebars into the case, and lining up the front wheel such that things like the bottom bracket fit between the spokes. I get better at it each time I do it. The Break-Away came through two domestic flights in the USA and one intercontinental flight from the USA to Asia via Europe unscathed. Reassembly after each flight was straightforward and the bike was ready to ride right out of the case. I have had one road trip. Knowing that the case would not be subjected to any abuse, I didn’t use any of the supplied tube wraps, and I didn’t bother with the compression members and security net.. I also left the crank in the bottom bracket and the rear derailleur attached to the hanger. That made packing simpler. The bike was none the worse for it either. A big help was the shorter steerer tube. As delivered the steerer tube made the fork too long to fit flush against the edge of the case. Which put the rest of the front triangle in the way of some of the other parts. I had the steerer tube cut down. Everything fits in the case much better now. On road trips I can get away without any padding because the titanium frame is unpainted. One of the few complaints about the painted steel frame is that it scuffs, scratches and chips easily. Top marks for the Ritchey Break-Away as a bike that packs easily into an airline-friendly case. I am delighted with my Ritchey Break-Away. There is nothing about it that I am unhappy with. It says a lot about the clever design and ride quality of this frame that the only weakness other reviewers have found with this bike is that the cable couplers sometimes rattle against the down tube on rough roads. If you want a travel road bike that doesn’t compromise performance, the Ritchey Break-Away is for you. Just be sure to get a hard case to go with it. Posted in Cycling in Colorado, Cycling in Malaysia, Cycling in New York, Cycling in Texas and tagged Airline, Alchemy Bicycle Company, Compression member, Hard case, Luggage, Review, Ritchey Break-Away, Road, S&S, Security net, Steel, Titanium, TSA. Bookmark the permalink.